The holiday season is officially here (just in case the store decorations that went up in October didn’t give you enough warning!). 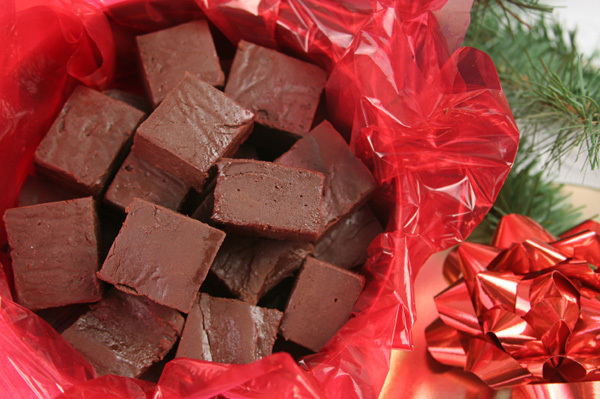 During the seasonal rush, you may think you don’t have time to make your favorite Christmas candies. But, good news, with these recipes, you can simply run to your microwave to make candy in mere minutes. All of these recipes are great for gift-giving, too, and, best yet, no candy thermometer required! thickened and gold in color. Add vanilla and stir well. Pour mixture into 9×13-inch baking dish. Spread chocolate chips over hot toffee. Sprinkle with nuts. Cool completely. Break into pieces. 8-inch square baking dish. Refrigerate 15 to 20 minutes or until set. square baking dish lined with waxed paper. Refrigerate to chill. Makes approximately 42 pieces. cover with a new sheet of plastic wrap. Microwave on high for 3 minutes and 15 seconds. Remove from microwave and stir. After boiling has ceased, stir in coloring and flavoring. Quickly pour syrup onto a waxed paper covered cookie sheet or into nonstick sprayed molds. Cool completely before breaking into pieces. Store in airtight container between sheets of waxed paper. *Flavoring may include lemon, vanilla, cherry, almond, peppermint or other extract. When you try a new microwave recipe, jot down the results right on the recipe so that next time you will know the changes or adjustments you need to make. and/or commercial microwaves are not recommended.